Let’s discuss what both technologies offer their users, and what the future holds for each. Bitcoin is a cryptocurrency, created and held electronically on your PC or in a virtual wallet. No one controls it or sees it – it’s decentralized so no person, institution or bank controls the currency. It was the year 2009 when bitcoin burst onto the financial scene, and soon computers all over the world started running sophisticated programs that would mine blocks of bitcoins by solving extremely complex mathematical equations. Mining bitcoin means to discover or verify new bitcoins because unlike traditional currency, bitcoin cannot be printed. Miners make money every time they discover new bitcoins or verify a bitcoin transaction. There can only be a fixed 21 million bitcoins [to prevent inflation], out of which 15.5 million are currently in circulation, which leaves 5.5 million bitcoins to be discovered. These valued blocks of online information skyrocketed in price as time went on and investor appeal in the new technology grew. Today, January 19th, bitcoin is showing an upwards trend and is trading at US $890.90, below the US $1000 threshold it broke in November 2013. Trading could be done online – anonymously, quickly, without hassle from regulatory and exchange bodies. The ease of use and lack of a trail led to flexibility unheard of in the financial world. But for all its benefits, the currency was overshadowed because of its anonymous, unregulated nature as it became easy for people to use the currency for illicit transactions that would stay off the books, as well as for schemes that swindled people. Coinbase has been one of the biggest proponents and enablers of bitcoin use. In an era where most traditional financial institutions avoid bitcoin discussions, the company sticks vehemently to its stand on bitcoin, likening the resistance of business executives to bitcoin to how companies once preferred private intranets over the open internet. We all know who won that battle! While bitcoin had the power to make transactions untraceable, it was another innovation that promised to make every transaction transparent and permanent. Underlying the use of bitcoin is blockchain, which is almost entirely opposite its more famous alter-ego. Blockchain possesses the ability of having permanent records of the transactions the blocks (the name for their portions of value) are used for, and at any time people can see those changes online in real time. It is this transparency that people have hopes in, but that’s not the only thing blockchain does differently than the cryptocurrency it drove for so long. To put into perspective just how big the market is now and how big it will become, the World Economic Forum shared some metrics on Bitcoin and Blockchain. It estimates that currently $20 billion dollars’ worth of Bitcoin exists now on record. The bigger prediction, though, was that by 2027 about 10 percent of the entire global GDP would be stored on blockchains, meaning anyone who wanted to become part of that process still has time to get a piece of the pie. Because of its “cleaner” reputation than bitcoin, blockchain has garnered the support of different financial institutions behind its design. Goldman Sachs, JP Morgan, and Bank of America have expressed great interest in blockchain by joining a coalition to implement it into banking practices. In addition to those large financial players, Visa, NASDAQ, Citi, and others have also agreed to be clients for blockchain related services and technology. These large, long established institutions feel that blockchain has less of a negative image attached to it than bitcoin, and because of that they seem more open to trying out the technology. The rush towards blockchain is simple: banks can increase the efficiency of their transactions by using their own permissioned blockchains to record all transactions done by their customers, as opposed to trying to record all that data with different types of software that become outdated every few years. However, some experts like Don Tapscott [University of Toronto] think that banks should be using blockchain technology not just to increase their banking capabilities, but to completely change how banking computing looks like for the entire industry. Indeed, outside of traditional banking, blockchain services have allowed users to engage in high value currency transactions already. The processing times on these transactions are very quick, and allow for a high volume of money to be exchanged and recorded. 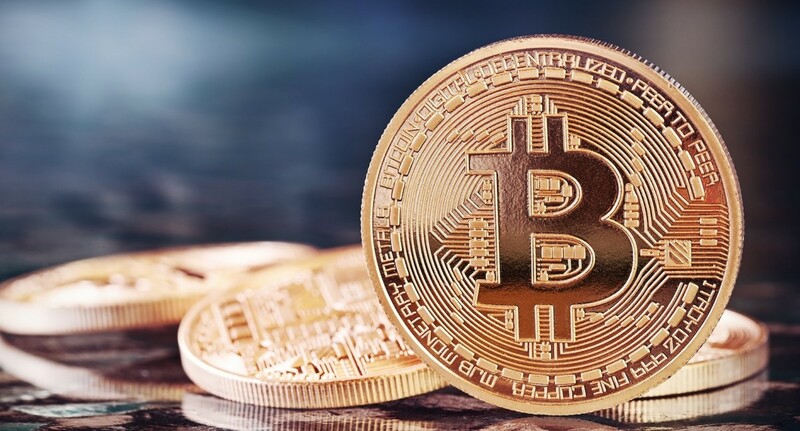 Major bitcoin players include names such as Bitreserve and Circle. Bitreserve serves as an online portal to convert currency from one form to another. In the beginning, users had to deposit their currency in bitcoin form, and could then convert their bitcoin into 25 other world currencies or four different types of valuable metals. Circle at first only allowed use of its transfer services – amazingly quick money transfers to anyone, anywhere – to be done in bitcoin money, including the process of depositing, holding, and sending of currency. Many of the companies who started off using bitcoin as their main currency are changing to focus on blockchain as a whole. Bitreserve changed its name to Uphold and has since allowed depositing of currency in any form, and Circle has changed to allow use of credit and debit cards to be used for deposit, holding, and sending of money worldwide. Many startups that were created with a focus on bitcoin are changing to accommodate alternative currencies and to let others know that they are not nearly as bitcoin dependent as before for what seems to be a similar reason to the one banks use: that bitcoin has a negative connotation to it, and since blockchain is the hot commodity now, it seems like a smarter idea to tie the business to that. They hope that, as more businesses and users adopt the blockchain technology, their use of it will also allow them to gain in popularity and use. For players in the financial sector, the best thing to do right now would be to seriously consider the advantages of blockchain. While bitcoin is the most top of mind for the general public, blockchain is attracting the biggest forces in the finance sector with its clean reputation. More than that, blockchain offers the opportunity to revitalize modern value transactions as we know it, and those who get their stakes in before that happens will have the best chance to shape what happens after. It’s business management 101: first-mover advantage! Is it crazy to change course of your company to try something so new, something so different from what you have has been accustomed to. Maybe so. But as Steve Jobs very rightly noted when thinking about changing the world, financial or otherwise – it’s usually the crazy ones who do.